Businesses in the Tees Valley have a free chance to take centre stage at a major new event designed to celebrate and promote innovation in the area. Organisers of the first VentureFest Tees Valley have launched a search with innovation experts RTC North to uncover the latest products, services and other big ideas of the area’s businesses. They are now looking for 15 businesses who dare to do things differently. Those selected will be given a platform to demonstrate their ideas to an audience of 400 businesspeople and investors during the event’s Innovation Showcase exhibition on September 13 at Wynyard Hall. Jamie Ollivere, sales and marketing director at RTC North, said: “From the safety match and Dulux paint to Quorn and Pyrex, Tees Valley has made its mark on the world with its innovative spirit. This talent continues to thrive to this day but the nature of business means much of this remains behind closed doors. Entry is free of charge and open to all businesses – regardless of size, sector or stage of development – in Darlington, Stockton, Hartlepool, Middlesbrough and Redcar and Cleveland. Selected companies will be given exhibition space at the event and will benefit from various activities designed to raise their profile. Simon Green, director of VentureFest Tees Valley, said: “Innovation happens in all kinds of businesses in all kinds of sectors. Whilst some people think innovation is about men and women in white coats in a lab, this is only a small part of the story we want to tell at VentureFest. “We want to highlight examples of clever thinking in large and small businesses, in manufacturing companies and service providers, in private industry and in social enterprise. The addition of Tees Valley to the national calendar of VentureFest events has been celebrated as a coup for the area. The event aims to bring together businesses, investors and innovators from across the Tees Valley to share ideas, explore opportunities, grow new networks and raise investment. The day is all about giving businesses access to practical tools, ideas and expertise that can accelerate innovation, leading to growth and employment opportunities. 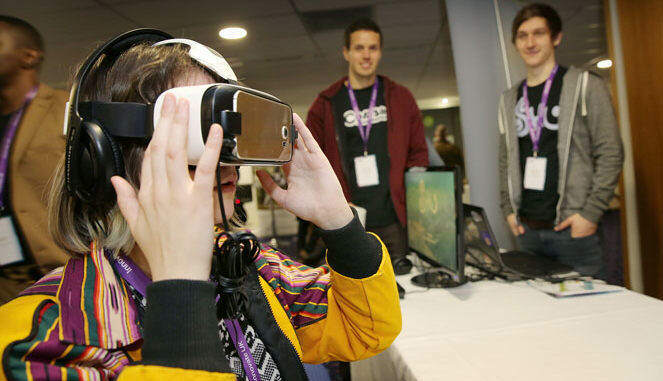 Venturefest Tees Valley is free for local businesses to attend and registration is open now at venturefest.tv. • To apply for Innovation Showcase Tees Valley visit https://venturefest.tv/innovation-showcase/ to answer a few simple questions before midnight on Sunday, July 30.